Thought in the city of Lion are offered a lot of different excursions, Ivan Franko park are not mention much in tours programs. It is really strange as among many tiny streets, old buildings and numerical shops it can rare be found real oasis of green. And Ivano Franko park exactly it is. 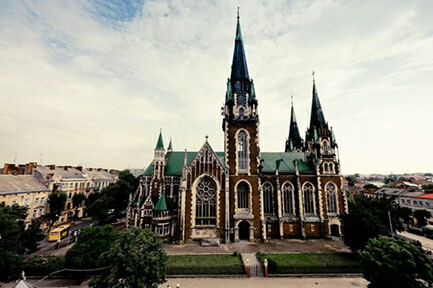 It can be found even by tourists that is visiting Lviv for the first time and, actually it is impossible to miss it as it is located exactly near main education establishment of Lviv – Ivano Franko National University of Lviv. 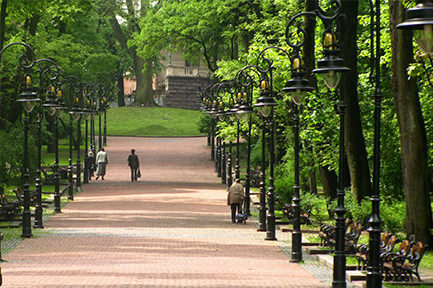 Besides the fact that park is a real place of the rest and perfectly fits for friends meetings, romantic walk, it also has an interesting history. It is hard to imagine walking by park with newly reconstructed alleys, new lanterns, garbage cans and benches, with active entertainments and kids square that here were wide fields. Exactly! And now here a lots of trees and even squirrels’! Into this recreation zone it was changed by Jan Scholz-Wolfovich – landowner that own them in the end of XVI century. However at first fields became a small garden of landowner. Проте спочатку лани стали маленьким садом родини поміщика. Actually, as a park that belongs to the city and it’s citizen, it was made by sun-in-low of previous owner from Venice – Antonio Masary. Apart from Masary, reconstruction and arranging were carried by local gardener Bauer. Lately the area were given to to Jusuit monks. And so for 160 years it was belongs to them and were called Jusuit park. 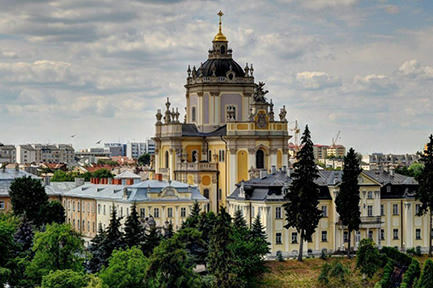 When it came Austrian power, carrying of the park took Galutskyi diet, which for that period were situated in the building of nowadays university. Austrians decided to make a land more lush and luxurious and began to plant a lot of different flowers, cropped bushes and rare trees. It was at that time they put in the middle of the park famous rotunda gazebo that till today is a shelter from rain and pleasant place of meeting of students and citizen. Next period became for the park Franko indeed period of decline – as a result of regular changing owners every 10 years, park began to be more wild and looks like impassible thickets. New owners carried more and more indifferent. So when it became clear that perennial work could be lost, then local government took a decision to sell the park to landowner Ivan Gechty. Rich man couldn’t make his possession collapse. It happened the last year of XVIII century. Gechta were indeed clever man and decided to make in a way so that is good for people and for himself he can earn a money. Soon here opened a restaurant and bathhouse, became few gazebo and park became a place of meetings of intelligence and arranging of festin. poet Hellenist J. Dunin Borkovsky. What they just did not want to build in Franko Park at different times! 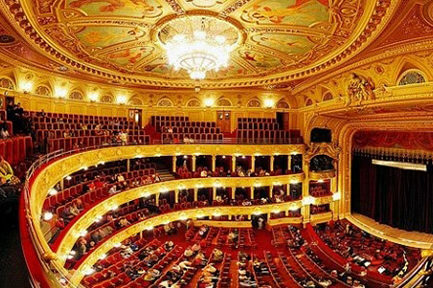 There should also be a theater under the project of Karol Richtman-Rudnevsky, as well as McDonald’s … However, the projects were never implemented, and Ivan Franko’s park still managed to preserve its identity, albeit very retouched. Today, the Franko Park is considered one of the most beautiful and most well-groomed parks in Ukraine, so avoiding it will be a mistake. 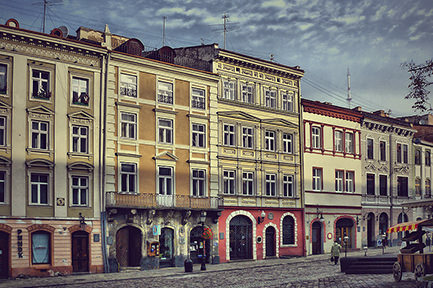 Looking for hotels near Park Ivan Franko in Lviv? And it is right decision! This is one of the most advantageous locations in the city of Lion. 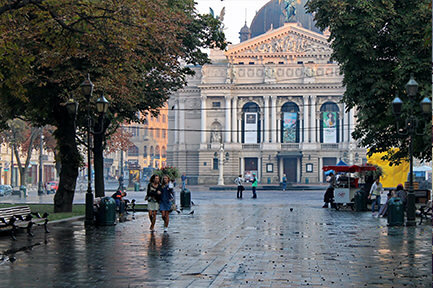 After all, it takes just a few minutes to walk from the Franko Park to the Runok Square! 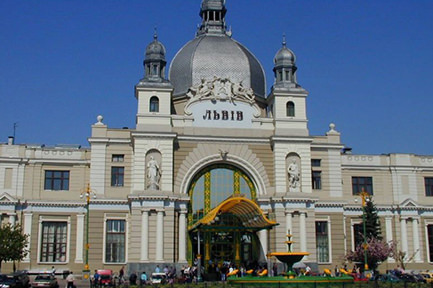 Hotels in Lviv near the park Ivan Franko are booked very quickly – as it is the city center. Edem Hotel also offers you its services and advises you not to postpone with a choice of rooms – we have not only excellent service, but also comfortable rooms, own parking and a restaurant. And yet, from us only 5 minutes walk to the park. We will do everything to keep your holiday in our city unforgettable forever !